When the weather in North Wales turns it really turns, hence Friday dawned drab, damp and extremely windy. Given the conditions it was clear that there would be no last hurrah for us amongst Snowdonia's peaks so instead we headed north to the RSPB reserve at Conwy. I first came here not long after its opening when vegetation had yet to take hold and everything was very open, a complete contrast to the lush setting of today. 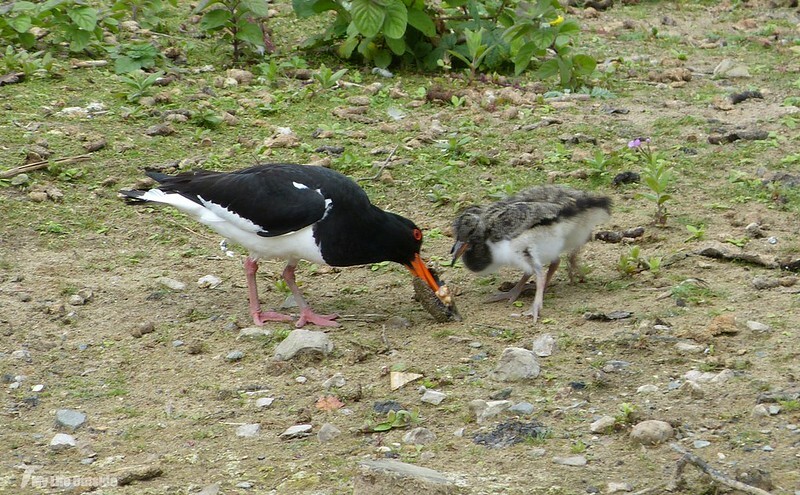 Along with new hides and walkways I had high hopes for a decent haul of birds and was only encouraged when told of an Oystercatcher family showing well from the first viewpoint. Being both mine and Emma's favourite species we headed straight over just in time to witness one of the parents bringing in a mussel. Out of the undergrowth emerged two perfect chicks and with a couple of swift stabs of that impressive bill their cheeping calls were soon rewarded. With so many large Gulls in attendance both adults were in a constant state of agitation even resorting to chasing off those who strayed a little too close. Having seen how large a bird Lesser Black-backed Gulls in particular can take I understood their concerns and was not surprised to see the chicks scurry back into cover at the earliest opportunity. Sharing this lagoon were the usual gaggle of Canada Geese but also a decent selection of waders including Common Sandpiper, summer plumaged Dunlin (always a nice find), numerous Redshanks and my first Green Sandpiper of the year. I'll be honest here and say that the latter originally had us stumped as we see them so rarely around our local haunts. 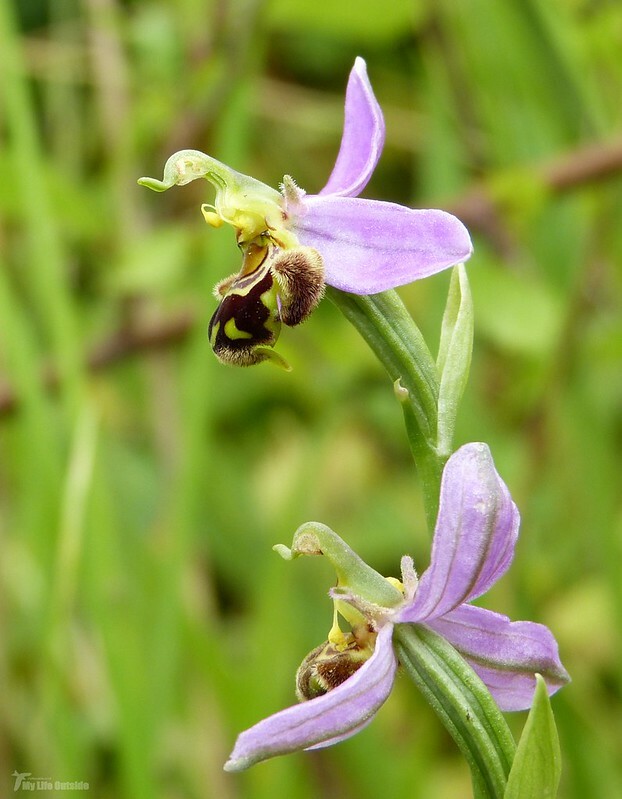 Fortunately the centre's sightings book put us right and also alerted us to the presence of a Bee Orchid near the cafe. Having never seen the species before I was intrigued and am pleased to report that they are every bit as good as I'd expected. This was just one of two plants we spotted before it was back out to the reserve to see what else was about. The answer was pretty varied with Curlew, Lapwing, Shelduck, Tufted Duck (with young), Great Crested Grebe, Sedge Warbler, Song Thrush, Red-breasted Merganser and an impressive display of at least 15 Little Egrets roosting in trees across the estuary. The views are also worthy of a mention even though we mostly experienced them through rain spattered windows. On a sunnier day we'd likely have seen much more but with the blustery conditions keeping a lot of smaller birds deep in cover I think we did pretty well. Even so it was a pleasing few hours and definitely a place to revisit next time we're up this way. Fabulous shots! 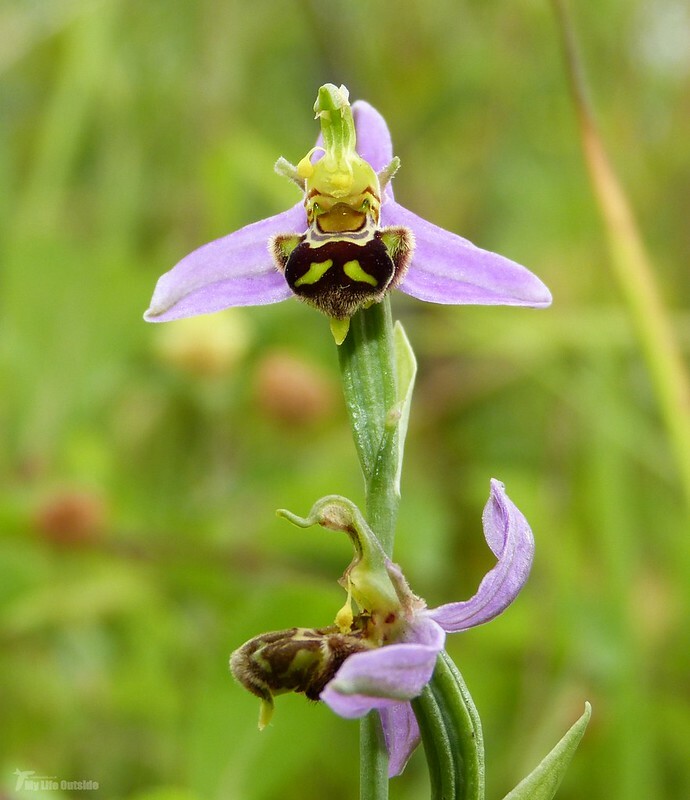 The bee orchid is gorgeous and the chicks are so cute. Well done Adam, beautiful landscapes,and the birds, fantastic.